'They will make it possible to live really anywhere we like. Any businessman, any executive, could live almost anywhere on Earth and still do his business through a device like this,' he says. 'It means we won't be stuck in cities. 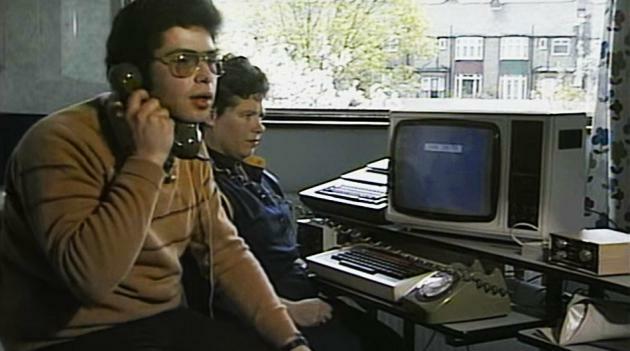 We'll live out in the country or wherever we please and still carry on complete interactions with other human beings as well as computers.' Our cities haven't exactly shrunk. But we're certainly able to connect with each other from wherever we might be." Right at the beginning are space & ten patterns of black, white & grey blobs; further on there are eleven more. These are called the graphics symbols & are used for drawing pictures. You can enter these from the keyboard, using graphics mode (except for space, which is an ordinary symbol using the cursor; the black square is inverse space). You use the 20 keys that have graphics symbols written on them. For instance, suppose you want the symbol , which is on the T key. Press GRAPHICS to get the cursor, & then press shifted T. From the previous description of the graphics mode, you would expect to get an inverse video symbol; but shifted T is normally <>, a token, & tokens have no inverses: so you get the graphics symbol instead." 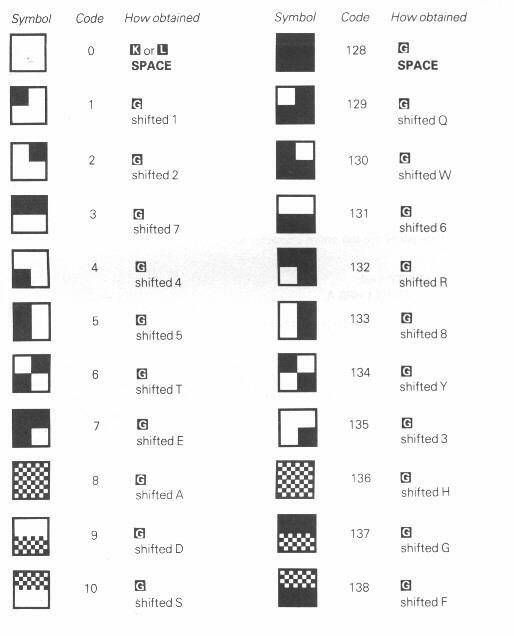 Fig.1 "graphics mode" table from Steven Vickers (1981). "Sinclair ZX81 BASIC Programming", Second Edition 1981, Copyright 1980 Sinclair Research Limited (converted to HTML by Robin Stuart). 2). Matthew Eagles (2008). "ZX81 VDU" TrueType font which replicates the letters, numbers etc. displayed on the screen of the ZX81. 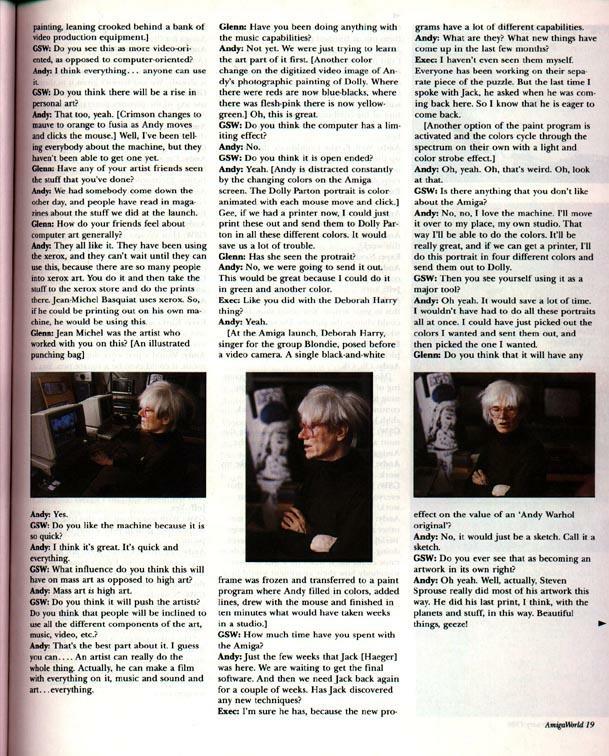 "'Long term Amiga users will remember the unveiling of the Commodore A1000 on July 23rd 1985 at the New York Lincoln Centre. 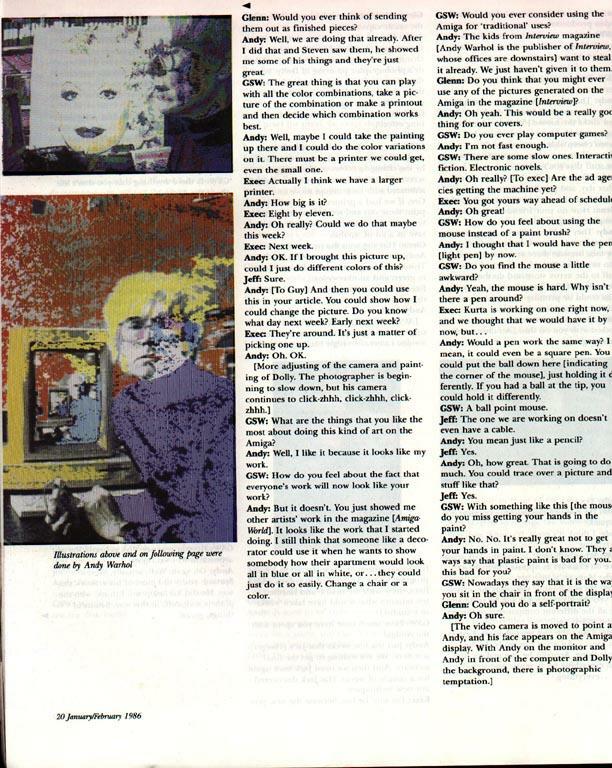 As part of the demonstration of the Amigas ability Commodore invited Andy Warhol to create a portrait of Debbie Harry, lead singer of Blondie using Island Graphics Graphicraft. 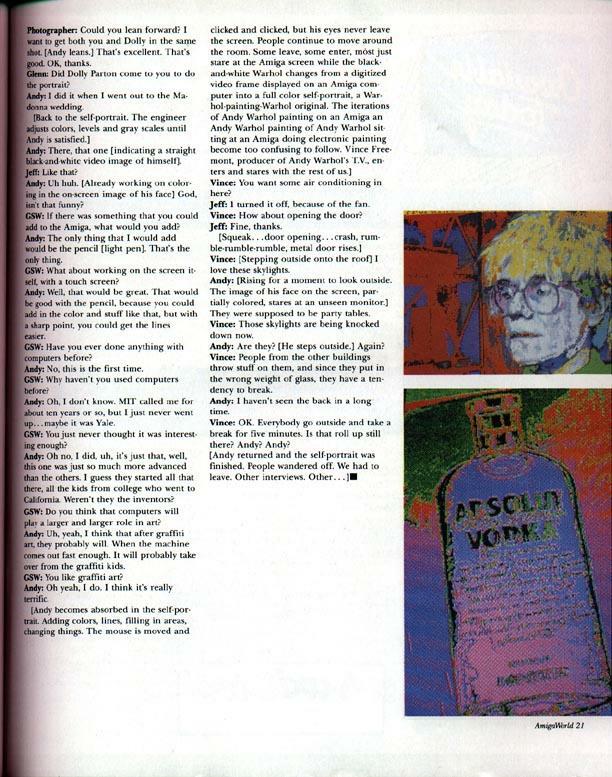 This was accompanied by a full score synthesised by Roger Powell and Mike Boom, author of Musicraft." 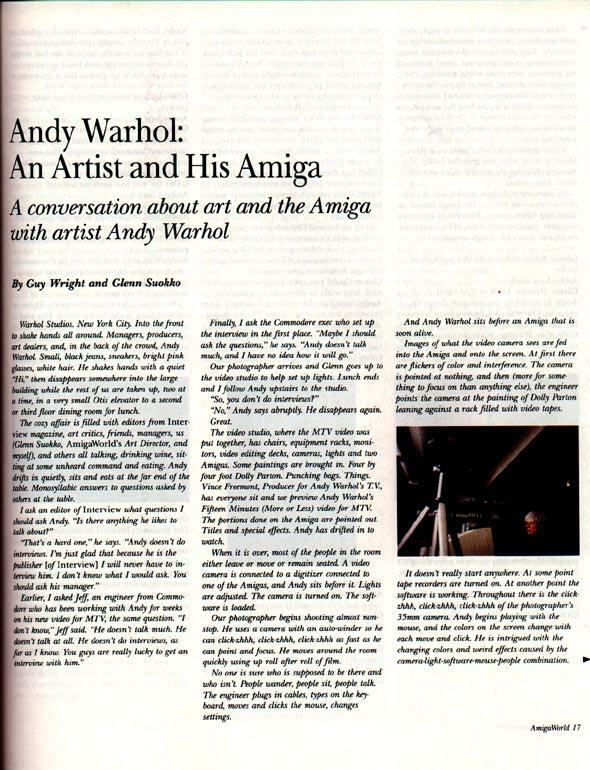 Fig.3–8,9 Guy Wright and Glenn Suokko, photography by Edward Judice. 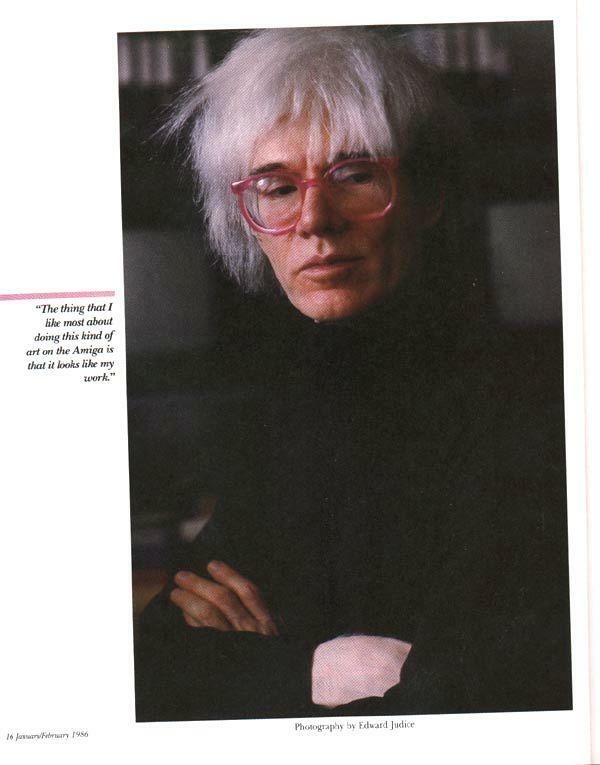 'Andy Warhol: An Artist and His Amiga'. 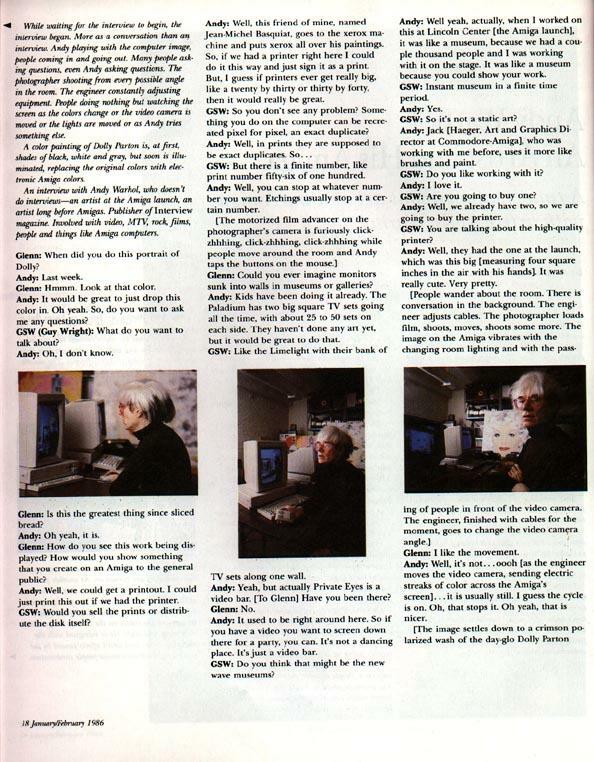 AmigaWorld Magazine, January/February 1986: p.16–21.